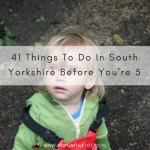 Need ideas for things to do in South Yorkshire which won’t cost you anything? 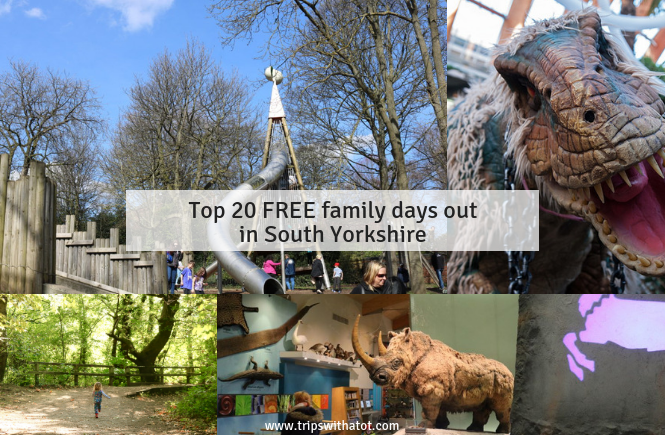 I’ve rounded up my Top 20 FREE family days out in South Yorkshire for you to discover. 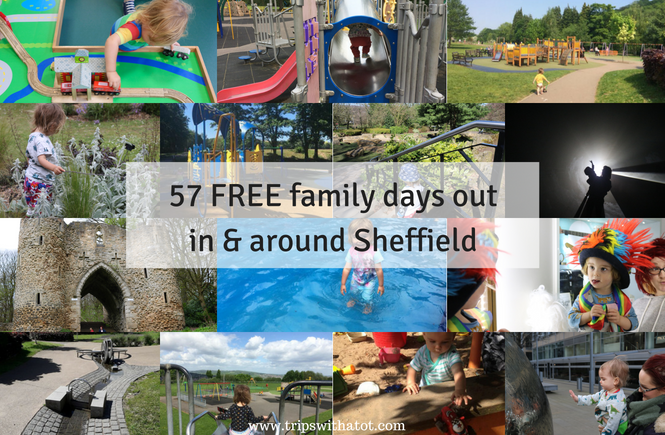 Whether you’re looking for days out in Sheffield, Doncaster, Rotherham or Barnsley; all of these days out in South Yorkshire are free! The best FREE indoor day out in Sheffield for kids, Weston Park Museum is fantastic and interactive. Very popular with families, this museum has lots of things to play with, touch, see and do. 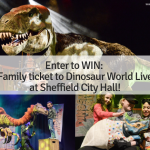 Explore Sheffield history, learn about animals, build an Igloo, see a Polar Bear, play in the ancient Egyptian room and more. In each gallery there’s something suitable for kids and it’s really great for toddlers to roam around. Books, animals, building blocks, play picnic set or dressing up. There’s a cafe, gift shop, indoor picnic area which is perfect for rainy days, and free activities all year round. Particularly, during term time on Friday’s there is Friday Under 5’s: Get Stuck In, a free drop in session 10-12pm with activities. 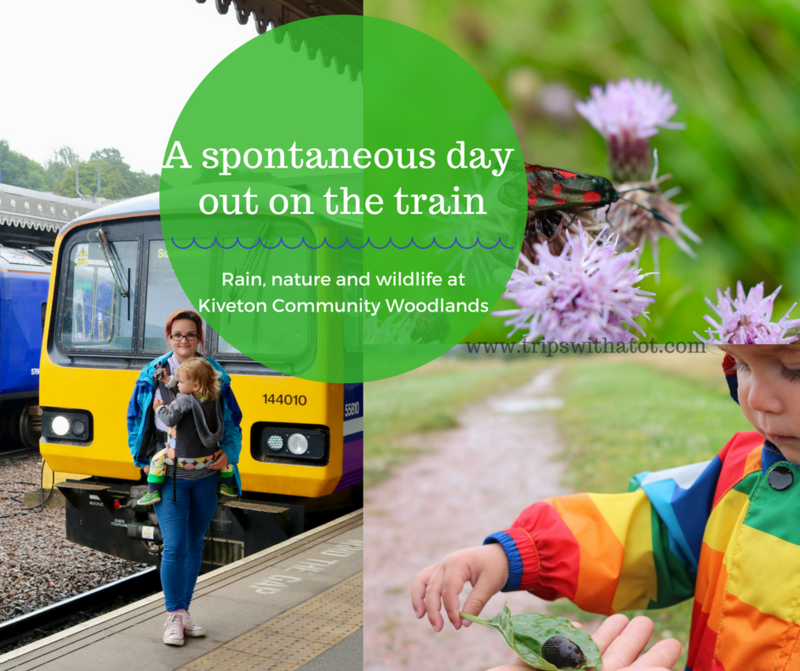 Have a picnic, explore the ancient woods, play in the woodland adventure play areas, take a scooter/ride on/remote control car for the track, get an ice cream from the cafe, climb the big hills and spot things in the city centre. 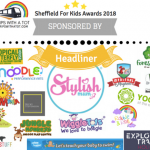 There is a variety of equipment suitable for toddlers up to teenagers and new adventure playgrounds renovated in 2018. Norfolk Park is gorgeous in the autumn, specifically with all the colour and huge trees. But it’s lovely all year round, too. Every year there are a few popular events at Norfolk Heritage Park such as the Sheffield Fayre and Sheffield Carnival. Norfolk Heritage Park is very close to Cholera Monument & Clay Wood, City Centre, Sheffield Manor Lodge, and is part of the Norfolk Heritage Trail. 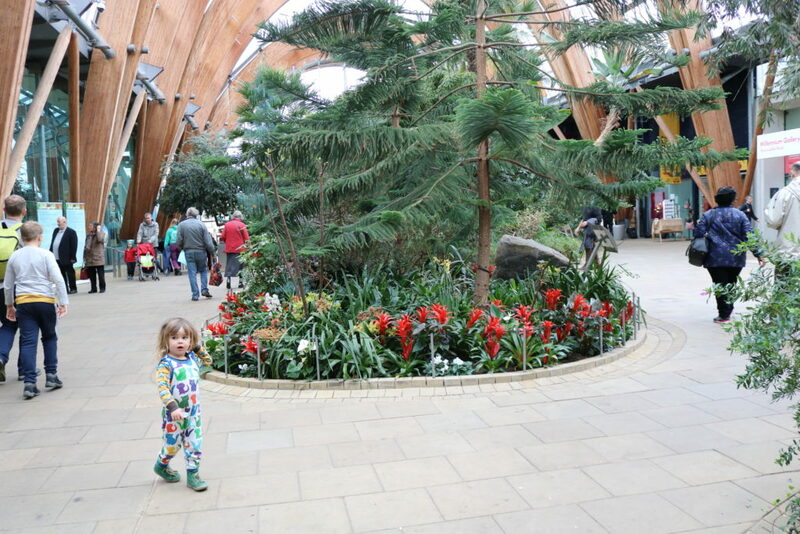 Winter Gardens is the huge greenhouse right in Sheffield City Centre, if you haven’t seen it already! It’s the largest greenhouse in Europe and home to over 2,000 plants. It’s a lovely place for a roam around and for an indoor picnic if it’s raining. Can you spot the animals!? In the Millennium Galleries are a few exhibitions to see, the metal works collection has a pot and pans playing section in the corner of the room. Baby change, toilets are downstairs and a nice cafe. There’s so much to do at this park. Graves Park is the largest park in Sheffield and a popular family day out. Enjoy a free animal farm, good playground (newly renovated) which includes a sandpit, plus a cafe, woodlands and walks. In summer there is a land train. And don’t forget about the hidden Woodseats Playground on the other side of the park. Rivelin Valley Park in the North of the city is a wonderful park with lovely nature trail, beautiful woodlands, good cafe and playground. 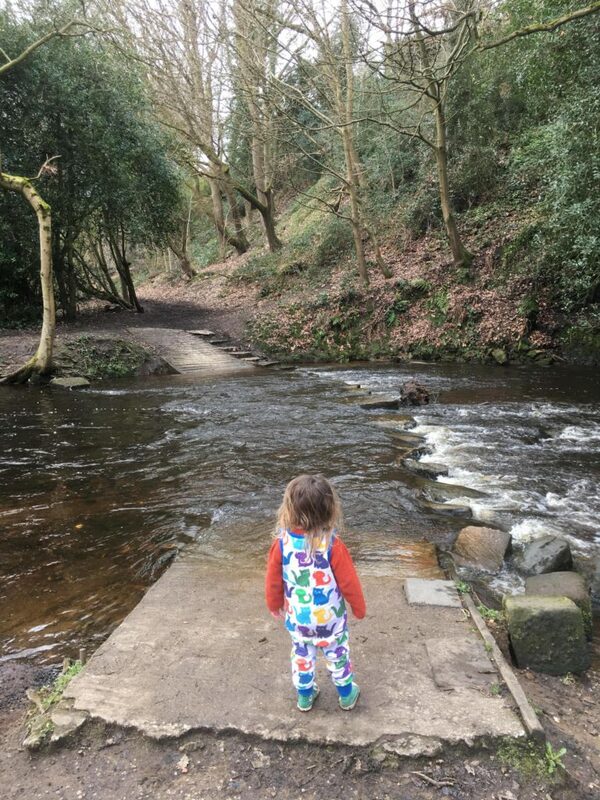 Rivelin Valley Park is one of our favourite places for exploring in the woodlands. 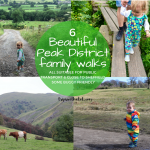 The fantastic nature trail is long going right up into the Peak District, but the first half from Malin Bridge (park and ride/buses/tram) to the playground/cafe is pushchair friendly. I recommend this and it’s something we do often. There is a free water park with paddling pool open weekends from June and daily in school holidays. 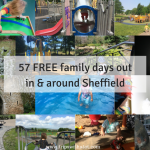 Free events such as: Sheffield By The Seaside, Sheffield Out Of This World, 999 Day on The Moor, Santa’s Post Office, Christmas Parades in Rotherham & Barnsley, plus free attractions at Meadowhall throughout the year such as Meadowhall Beach Club, with sandpits & activities in summer. 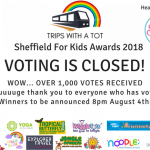 Top 3 have to be Sheffield By The Seaside (yearly, in summer school holidays at Peace Gardens), Out Of This World in Sheffield and South Yorkshire Festival at Wortley Hall. Entry to all of these is FREE with FREE activities/entertainment. 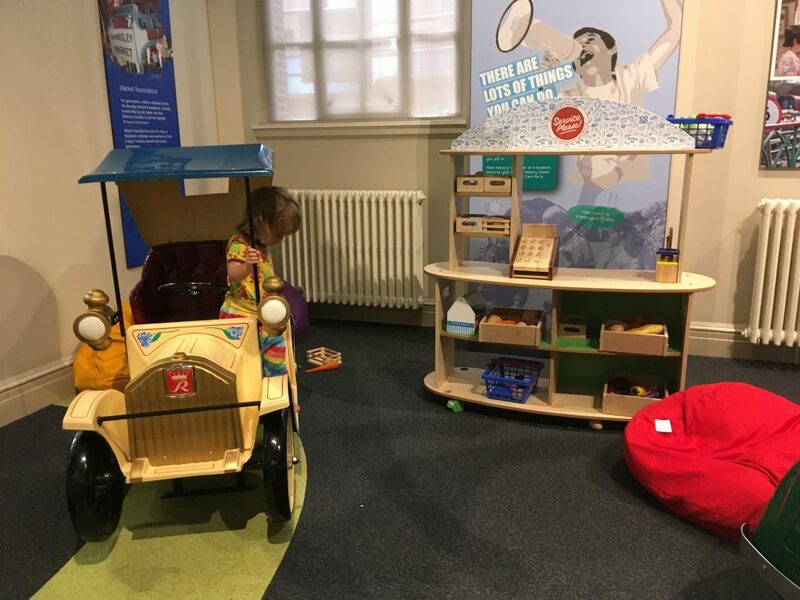 We love how hands on it is at Experience Barnsley Museum. Eric enjoys the dress up, play shop, role play areas and collections. There’s a reading corner, colouring tables and interactive displays such as building or digging. The museum is in the Town Hall, has a nice cafe and fountains outside. Just across the road is The Cooper Gallery, this is free and worth a visit. Cannon Hall Museum & Gardens has 70 acres to explore, with beautiful parklands, landscaped gardens and a country house museum. 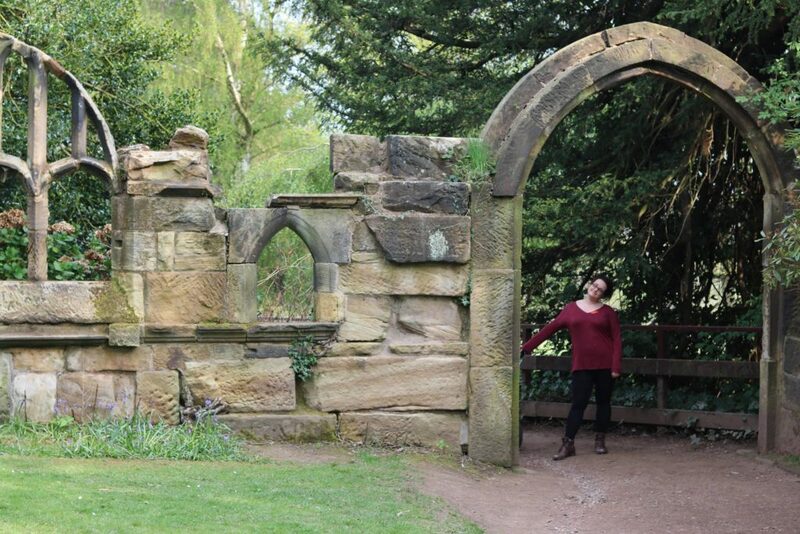 Cannon Hall Park and Gardens is an idyllic place for a relaxing walk, family outing or picnic. The Park is an ideal place to explore with children, with acres of grassland that are perfect for games. Cannon Hall Museum is home to an astounding mix of paintings, metalwork, ceramics, modern glassware and furniture collections displayed in exhibition galleries throughout the Halls’ historic rooms. Locke Park is the largest outdoor park in Barnsley. 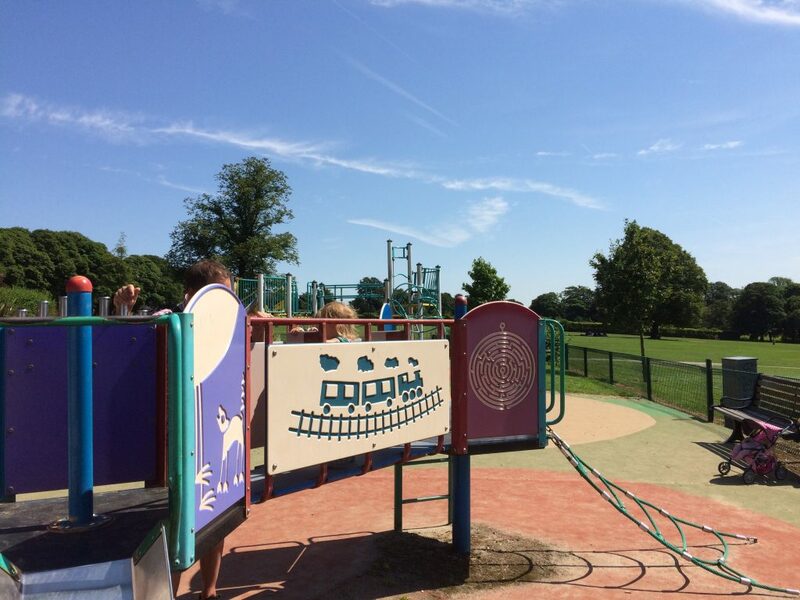 It’s popular with families for the fantastic play areas and scooter friendly paths. 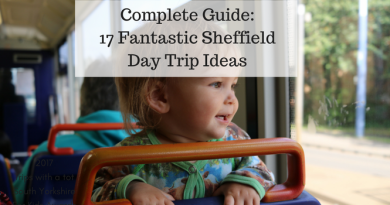 There’s a sand pit, paddling pool, bandstand and old tower, cafe, bowling greens and sports facilities. 44 & 43 buses stop at the Park Road entrance. Many popular events are on throughout the year such as Easter community fair, classic car shows and a popular summer gala. See the friends of Locke Park. Admission is free to this fantastic country park and museum, featuring a playground, cafe and trails. Worsbrough Mill is a 17th Century working water mill set in stunning parkland. It is an amazing place to visit, watch wildlife and see history come to life. Visitors can enjoy a leisurely day out exploring the Country Park either on foot on by bicycle. The 60 acre reservoir is a haven for wildlife and regularly attracts birdwatchers and anglers. We love Elsecar! With its own train station, Elsecar is very convenient to get to and is ideally located for a day out from Sheffield. This lovely little 18th century conservation village has more than you’d expect. Elsecar Park, a green-flag award winning park is fully equipped with good play areas, sandpit, cafe, mini golf and gentle walks. There is plenty of room to run around, play basketball, find painted rocks, walk by the little steams or have fun in the scooter park. Just over the road is Elsecar Heritage Centre, a unique historical attraction. 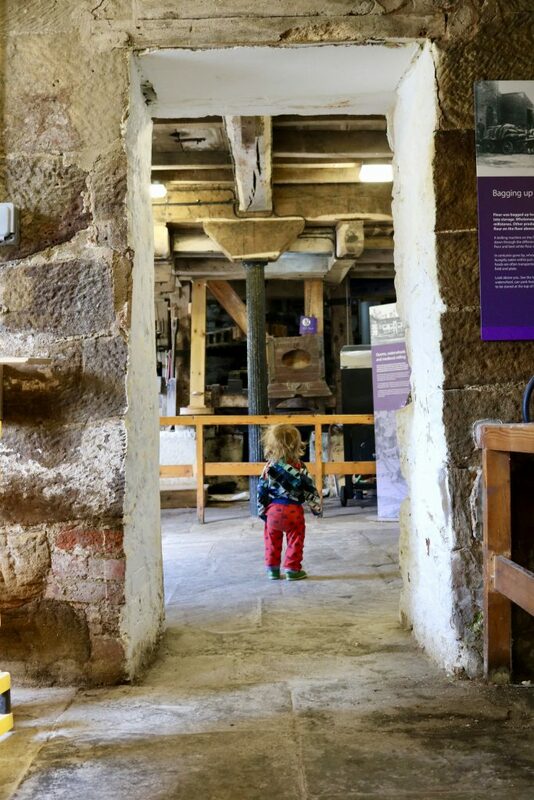 Elsecar Heritage Centre is walled in with cobble stoned paths, so it is very safe for children to explore as there’s no traffic. 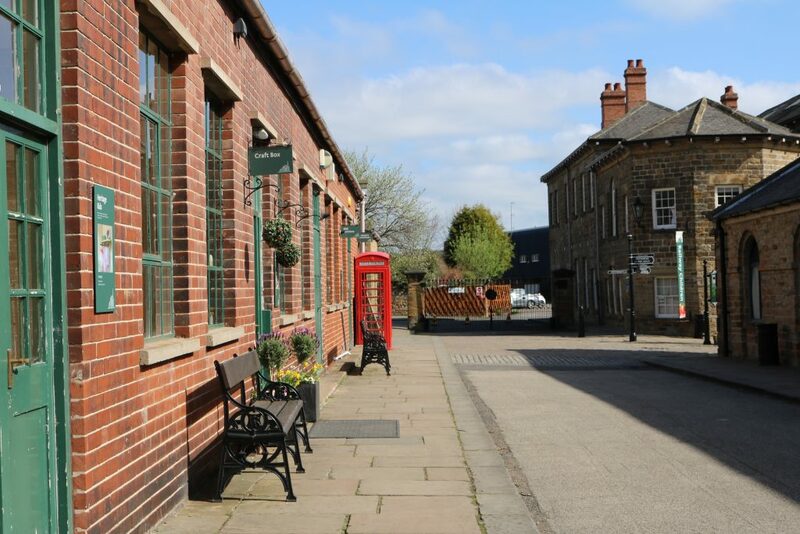 There are a number of fantastic shops, antiques, cafes and Elsecar Heritage Railway. Walks by the canal or on the Trans-Pennine trail at popular, there is a little free museum and workshops. Not free? Try the indoor soft play centre, Playmania for even more fun. 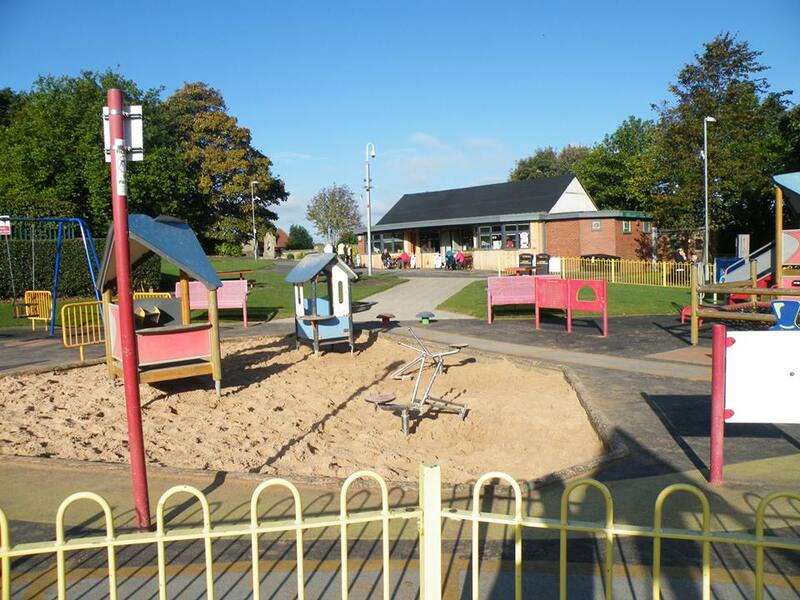 Sandall Park near Wheatly in Doncaster features a new woodland play area including a zip wire and playing fields. Equipment is suitable for toddlers up to juniors. This park is also popular for angling and playing sports. The cafe is open 7 days a week, alternatively there are many picnic areas. Beautiful scenery including a large lake (formerly the boating lake), a smaller pond, wildflower areas, a variety of wildlife and woodland areas. The FREE Sensory Trail has been created to provide an inclusive and sustainable outdoor experience for children and families and has been designed to enable the less able and disabled to participate. All the information boards have been composed in such a way so as to be easy to for the visually impaired to read and with the intention that they will educate visitors about wildlife – birds, animals, plants and trees – in the park, and about nature in general. Using recycled logs to grow alpine plants on with herbs and sensory plants planted around the logs, herbs have also been planted in a raised herb garden. This is to encourage people to touch the plants and smell the aromas they give off. Several logs with carved features such as animal footprints, leaves, bird and duck footprints for children to touch and use for rubbings have been installed. Although not intended for use as benches as they are not of a smooth surface, they have provided a convenient resting place for walkers. Cusworth Hall is a beautiful Grade I listed building set in acres of historic parkland. The house was built between 1740 and 1744 for local land owner William Wrightson and recent refurbishments have transformed the Hall into Heritage Doncaster’s social history museum. Children’s play areas and a playing field are also located within the Park and a variety of walking trails are available. Try the Tree Trail, Nature Trail or History Trail. Good for a rainy day. 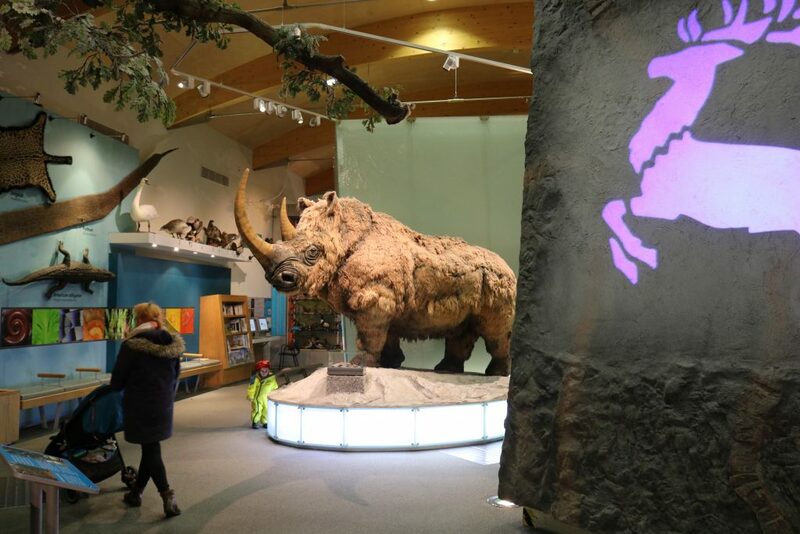 Explore natural history, archaeology, local history, fine art and more at Doncaster Museum and Art Gallery. A varied programme of exhibitions runs throughout the year in the Art Gallery, while Doncaster Museum charts the history of the town from the Ice Age to the present day. Free activities often run during school holidays, do check their events here. Shopping outlets are not always listed as days out but bare with me! The lakeside village outlet in Doncaster has a large lake to walk around and is ideally located to shops and restaurants, South Yorkshire Aircraft Museum & Doncaster Dome. Make it a free day out with a walk around the lake and feed the ducks, indoor and outdoor play areas and free parking. 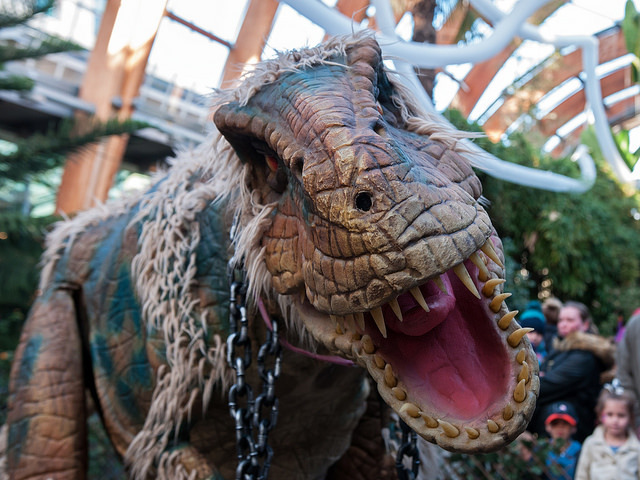 Clifton Park & Museum is the best family park in South Yorkshire! 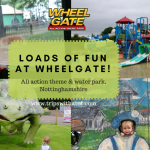 Very popular for days out, it boasts a free water splash park, funfair, mini golf, adventure playgrounds, sandpits, cafe and a free museum. The museum is lovely for a rainy day (or any day!) with hands on, interactive rooms and displays for children. Many free activities and clubs run on a regular basis, including object handling and messy play. 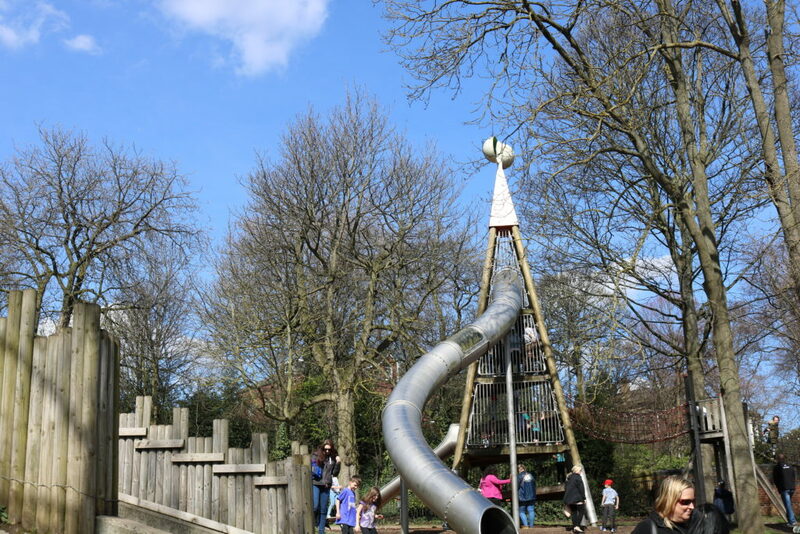 The adventure playgrounds are large with many different areas, slides, sandpits and equipment for all ages. There is a fun fair, mini golf and the water splash area is very popular in the summer months. Take a picnic! This Park has a reservoir and nature reserve, wildlife and a 2 mile lakeside footpath around the water. 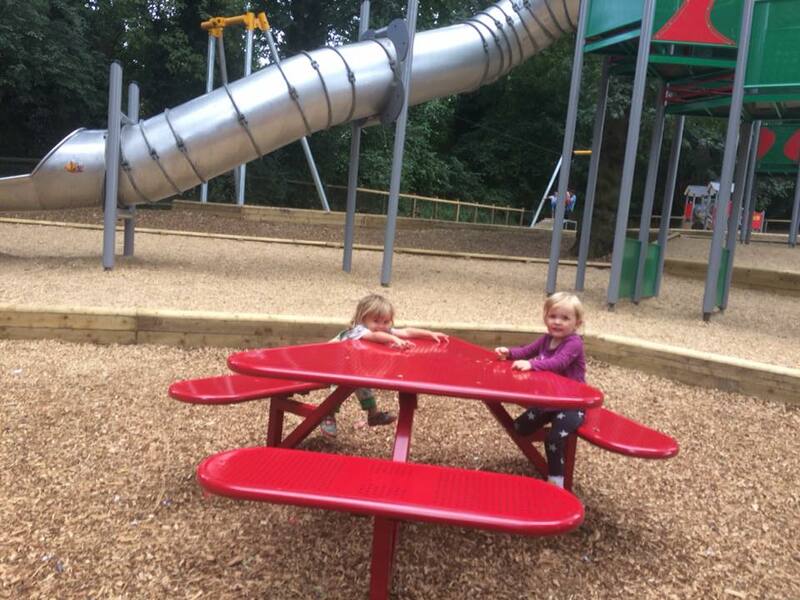 Children can enjoy indoor and outdoor play areas, plus an ice cream parlour! Events run throughout the year, with the likes of Superhero days and Santa arriving on a boat at Christmas! 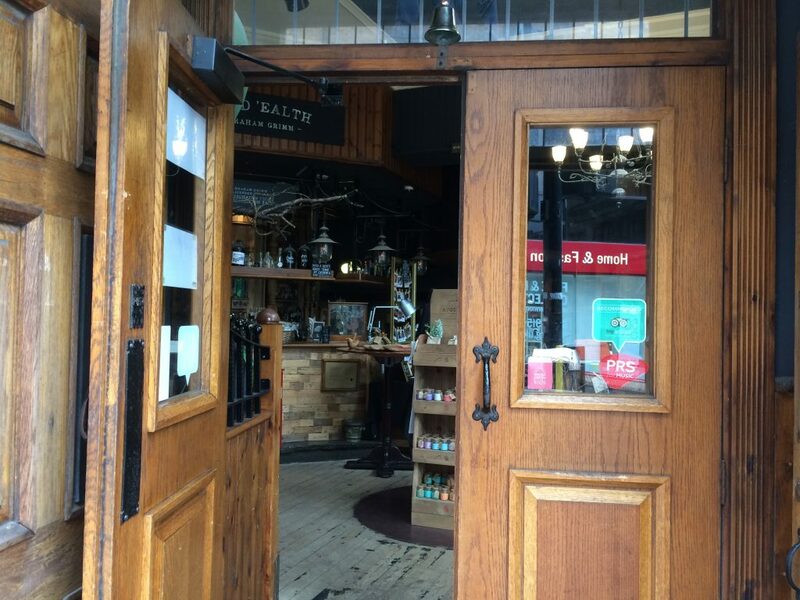 Grimm & Co’s Apothecary to the Magical was established in 1148. 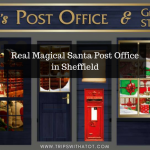 It is a truly magical shop, little museum and library in Rotherham Town Centre. It is a hidden gem. We loved reading stories in the library and looking at all the wonderful soaps, broomsticks and goodies to buy. There are little things to do in the shop for free in addition to the library, such as a little wishing well at the back of the shop, museum cabinets with Princess’ Pea & Cinderella’s glass slipper, a piano and a letter writing corner. Grimm & Co are a charity and run many creative workshops for children.